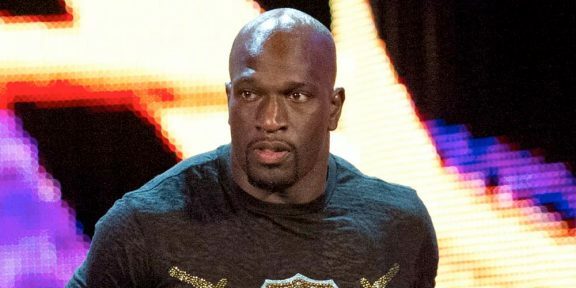 The suspended Titus O’Neil talked with RapZilla.com and addressed the 60 day suspension he received the day after Daniel Bryan’s retirement, a suspension which drew big chaos online. “I made a mistake at an inopportune time. Regardless if it was too harsh or overreacting or whatever people have deemed it, it all stems from my mistake. Whether I agree with it or not, I am owning it. I’m doing what I’d normally do in any other situation,” O’Neil said. His suspension was initially for 90 days however 30 days were knocked off after WWE received a barrage of backlash over how it handled the situation. O’Neil was suspended after he grabbed Vince McMahon’s following the Bryan farewell as everyone stood on the top of the entrance and then McMahon turned around and pushed O’Neil. The former tag team champ said he playfully grabbed his boss’ arm so Stephanie can make her way first. “People who probably weren’t interested in me as a WWE superstar, are now interested in me as a man and a father…I’ll just take this punishment just like everything else, take a lemon and make lemonade,” O’Neil added. His suspension runs through WrestleMania, any Superstar’s biggest pay check during the year.